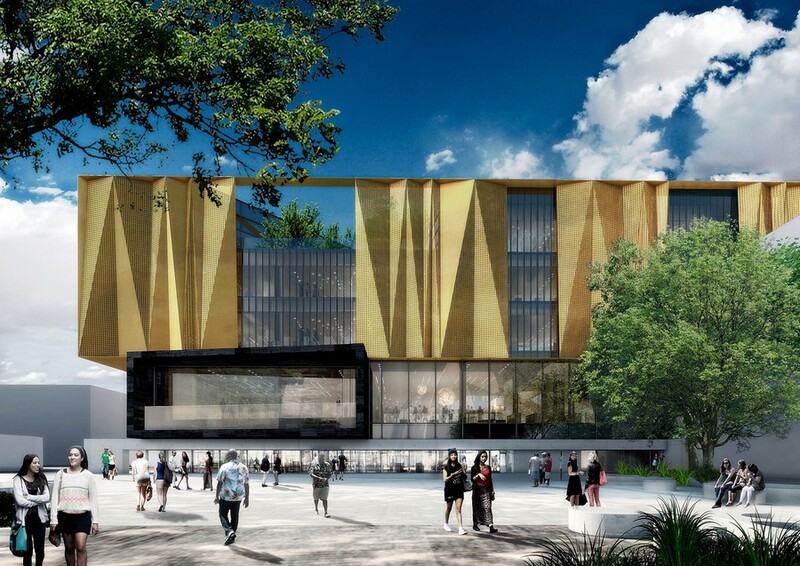 The New Central Library (NCL) is one of the anchor projects in the Recovery Plan for the city of Christchurch after the damaging earthquakes in 2010 and 2011. 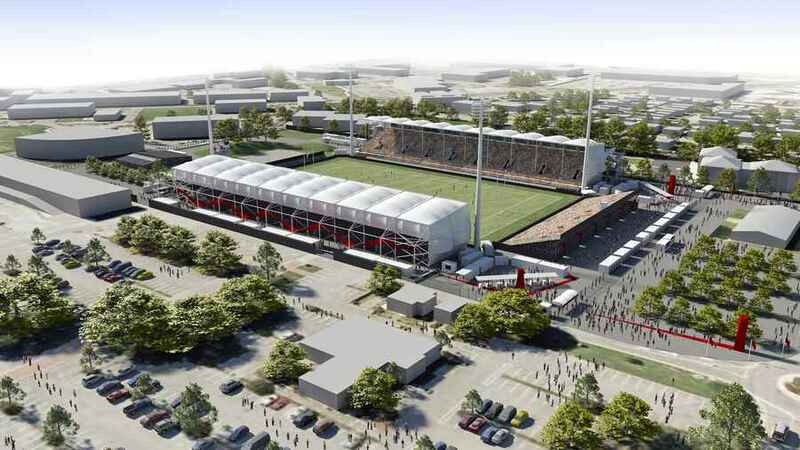 The Christchurch Central Recovery Plan provides the framework for the redevelopment of Christchurch city centre, which was severely damaged by the earthquakes. 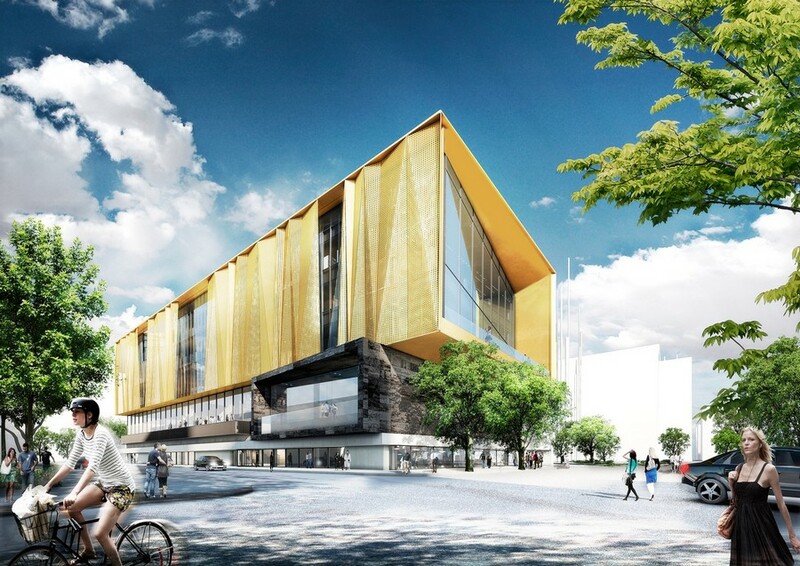 The previous Central Library on Gloucester Street was badly damaged and the land it stands on has been designated for the city’s new convention centre. The design concept for the Recovery Plan is for a greener, more accessible city with a compact city centre and a strong identity. 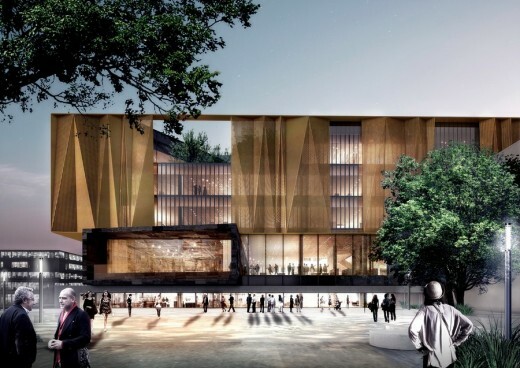 The aim is to become a vibrant city for all people and cultures recognizing, in particular, the Ngai Tahu heritage and places of social and historical significance. 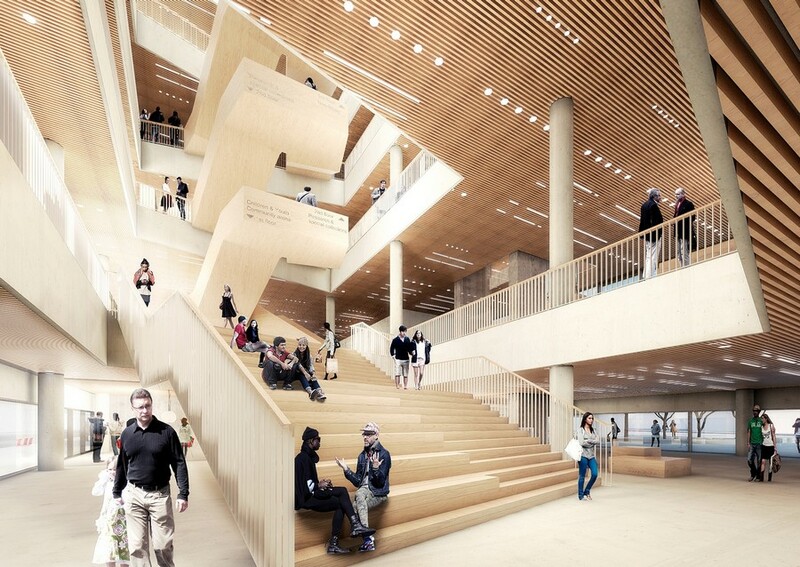 Through extensive public and stakeholder engagement four key themes were identified to be incorporated into the design of the New Central Library – these were; Dynamically Connected for Discovery & Learning, A Fusion of Spaces for every Function, Equipped for Every Purpose, A Welcoming Place. 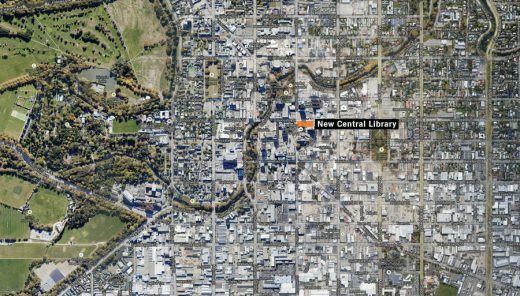 The New Central Library will be the flagship of the Christchurch library network and provide an important civic function as a social gathering point in the rebuilt city. It will provide easy access to digital technologies and local heritage collections. 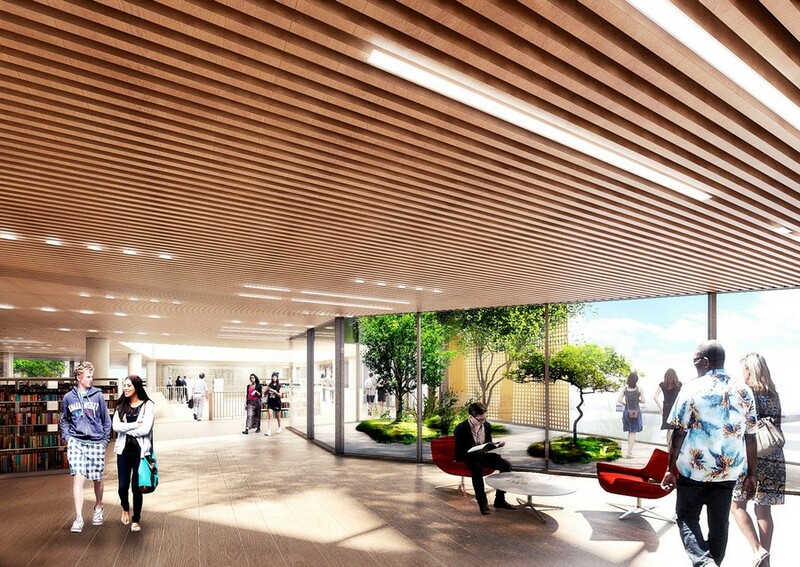 There will be exhibition and performance spaces, a learning Centre, spaces to relax – indoors and outdoors – and activities to entertain and educate young people. The NCL site sits on the northern edge of Cathedral Square – Christchurch´s key civic space defined by Christchurch’s Cathedral. The NCL looks to develop a visual and conceptual connection to culturally significant points in the Canterbury landscape and beyond which has driven the location and orientation of the roof terraces and large openings. The ground floor of the NCL is treated as a continuation of the public realm of the square creating a welcoming and informal entrance and a strong connection between Cathedral Square, the NCL, and the city’s new convention centre. The ground floor contains the foyer, reception, café, meeting rooms and a Technology & Innovation department. The design strongly expresses the Community Arena as the city´s place of discussion, debate and celebration with a strong connection to the civic space of Cathedral Square. The Community Arena is situated in between the Ground floor and the Pataka in order to enhance the position and importance of this function. It also includes activity rooms and the Children & Youth department. It’s oriented with a large, glazed opening toward the square in order for library activities to be part of and enliven the square. The Pataka, for Ngai Tahu, symbolizes a knowledge storehouse raised upon posts. Therefore these upper three floors encloses the Oceania floor and the majority of the NCL´s collections, reading rooms and a creative area. 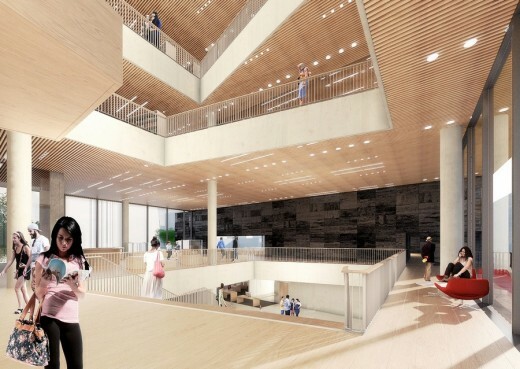 Roof terraces and the western facade are oriented towards the distant views and wider context while the staggered atrium creates a strong vertical journey connecting “Mother Earth with Father Sky”. The southern facade defines the northern edge of Cathedral Square supporting the definition of the Maltese Cross. The Library is designed with materials closely related to New Zealand’s nature and range of colors. Exposed concrete up against warm timber, partly on floors and ceilings will reflect an atmosphere of authenticity and cultural embracement. The exterior and the cladding of the Pataka will have warm landscape hues with reference to nature. The new library building, which will be up to approximately 12,000 square metres, will be one of the anchor projects in the Recovery Plan for the city of Christchurch after the damaging earthquakes in 2010 and 2011. 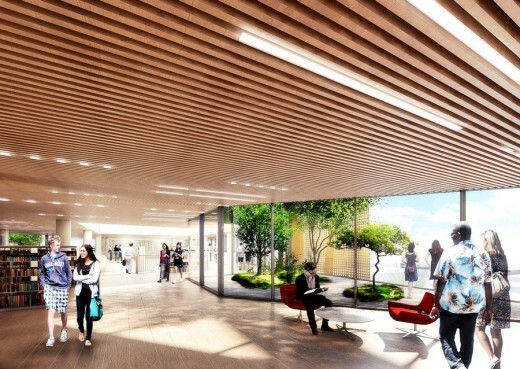 Work has started on a master-plan for the health precinct of Christchurch following the appointment of BVN Donovan Hill by the Canterbury Earthquake Recovery Authority (CERA).